The Pitweiler is a mixed breed dog, which combines two purebred dogs, a Pit Bull Terrier and a Rottweiler. 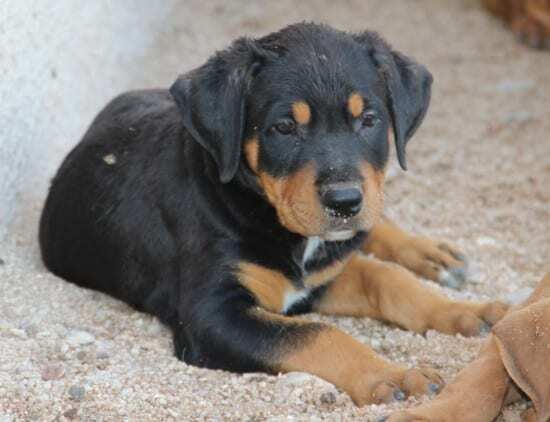 The end result is the Pitweiler, a dog that will take on characteristics from both parents, somewhat unpredictably, so the resulting dog can look like either of them, or have a combination of traits from both sides. The same goes for the temperament and health issues of this type of dog. 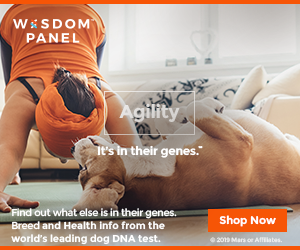 Keep reading to learn more about this breed, but keep in mind at all times that if you’re looking for certain traits from both breeds to combine perfectly and get you the best dog ever, that’s probably not going to happen. It might have the characteristics you want, but then again, it might not. Other names used for this hybrid designer dog: Pittweiler, Bullrott, Prott, Rottie Pit, Rottbull, Rott-n-Pitt or RottenPit. In order to get a good idea of what this breed is capable of, and what’s likely to result from it, we’ll take a look at both breeds and their general characteristics. Keep in mind that not all dogs are the same, even from the same breed, so none of these traits are a given. Longevity wise, the Pit Bull has a bit of an advantage, with a lifespan which is usually between 12 and 15 years, while the Rottweiler sits somewhere at 10-12 years. These breeds are of different sizes, so the mixed dog that results from them can vary in size quite a bit. In the extreme cases, you can get a dog that weighs as little as 30+ pounds, or as much as 115 pounds. The smaller breed is the Pit Bull Terrier, which weighs 30 to 55 pounds, with a wither height of 12 to 24 inches. The larger Rottweiler has a height of 22 to 27 inches and weighs between 50 and 115 pounds. Both of these dogs have a short haired coat and they’re average shedders. They don’t need much grooming, so you’re lucky from that point of view, and the coat doesn’t need stripping or trimming. The Rottweiler has his tail usually docked, while the Pit Bull gets his ears cropped. 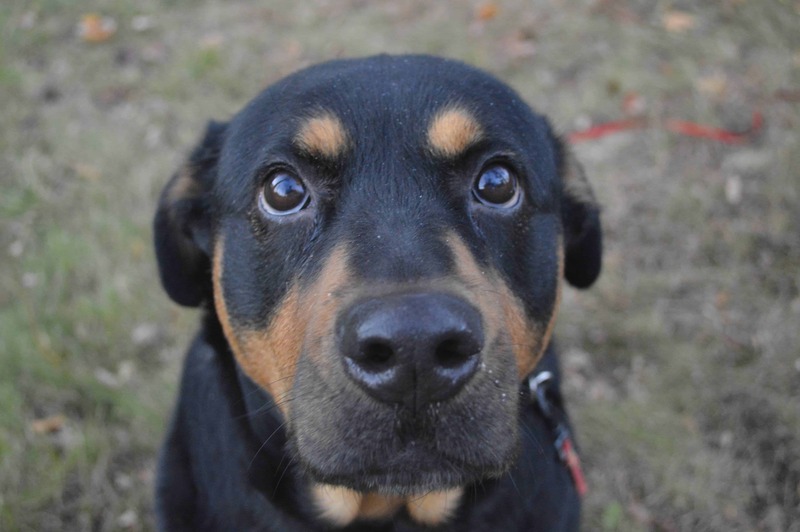 What you do with your dog depends on your preferences and on whether the Pitweiler looks more like a Rott or a Pitt. 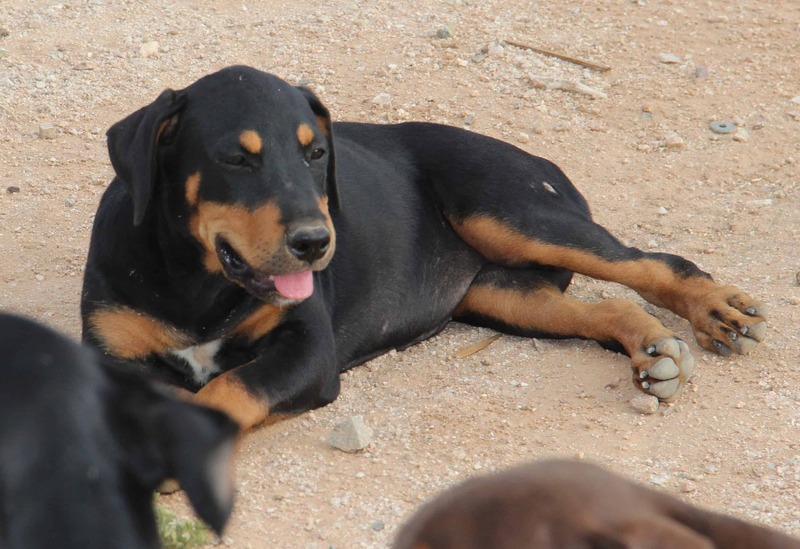 Noise wise, the one that is more likely to bark is the Rottweiler, while the Pit Bull is usually not the type to do it often. Despite their reputation, the Pit Bulls are more likely to be friendly with a stranger, while Rottweilers are much more reserved around them. Rotts are also the ones that are more independent. 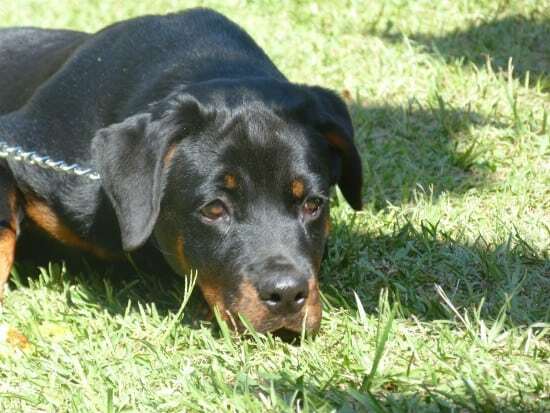 Both breeds are considered dominant, especially the Rottweiler, so make sure that your Pitweiler goes through obedience training and that you do it while it’s still a puppy. The Rottweiler does best around children if he has them around as a puppy as well. The Pitweiler is a dog that is easily trained. The Rottweiler is actually one of the most intelligent dogs in the world, and the Pit Bull is not a bad breed from that point of view either. Both breeds that make up this mix require a lot of daily exercise and ideally a small yard should be available to them. Apartments will do though, as long as the daily exercise is there. Overall, this can be a great breed, as long as you know its pros and cons. Both are great types of dogs, so if you’re planning to adopt one, it should be a good idea, with proper training. And we’ll conclude with a video with some Pittweiler puppies playing. 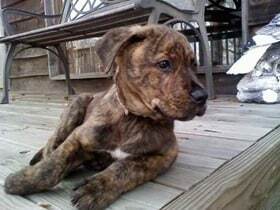 Is there any pit bull rottweiler mixed puppies in ohio? I am looking for one, I think they sound perfect. I have a rottweiler germen shepherd at home and he needs a friend. I am in Ohio as well and would like to get my daughter one of these. Please let me know the info. 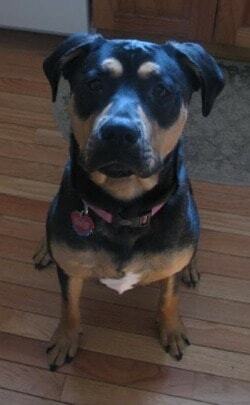 I have a female pit rott mix. She’s about 7 weeks old. Solid black coat with white split between the eyes to her nose. Please email me some pics of the little girl you spoke of. I would like to see what she looks like. Please include your location and asking price. We are in Washington State. I have a pitweiler who i rescued from a publix parking lot and she isbout 2 and about 70 lbs. I am currently looking for a home for her, email for pictures or if intrested. im looking for a pitweiler puppy (preferably a male) . please contact me if you have one. I’m in North Carolina and want a pittweiler mix. Anyone that knows where let me know please. We are looking for a male pitweiler puppy. We had 3 brothers for almost 12 years. The best of friends and the most amazing animals. Prefer the rednose/rott mix with red coats. Will travel for the right puppy. My purebred American Staffordshire Terrior (gray w/ a little white on her chest) and purebred American Rottweiler (amazing mahogany color and black) will be expecting in just a few days. I’m looking for forever homes for the puppies except 1, I’m keeping one. My email is attached if interested. I am in NoVa. I can’t believe I came across this post. I know it’s an older one, but I was wondering if your two dogs had another litter? We are in DC and in search of a Rottweiler pit mix! I need two pitweiler puppies in Carrollton Georgia (near Atlanta). My beautiful rotti passed away last year and I miss her so much! Hello! I just saw your post, we have a beautiful litter that will be ready in just a few weeks! do you have any pitweiler pups left ? Hi im looking for a female pitweiler puppy if anyone has any for sale. 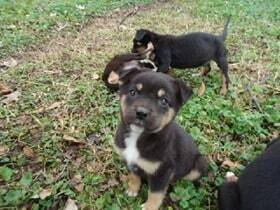 Does anyone have any Pit/Rott puppies? I am looking to get one for my fiancé and 4 year old boy. Please email me @ [email protected] . I am willing to travel or pay for shipping as well. Are there any male puppies left? Also, what state are you in? Hi Connie, a little late but do you have any pups left? Thanks! I live in ohio is anyone selling any pitweiler puppies? I am in Wisconsin looking for a pitweiler puppies. Is there anyone around?